BROWARD COUNTY, FL - Broward County&apos;s Port Everglades will be the last port of call for the Lady Luck (formerly Newtown Creek) before the 324-foot tanker is submerged off Pompano Beach, FL, to become the area&apos;s newest artificial reef. The former New York-based vessel is scheduled to arrive at Port Everglades on Wednesday, July 20, and the sinking is scheduled for Saturday, July 23. The Broward County Board of County Commissioners voted to waive dockage fees at Port Everglades to help support the Lady Luck reef, which is sponsored in part by the City of Pompano Beach, Isle Casino Racing and Shipwreck Park, Inc.
"Broward County has an on-going, proactive and lengthy history of environmental and tourism support in our community by assisting with artificial reef projects such as the Lady Luck through services provided by the Port Everglades Department, the Greater Fort Lauderdale Convention & Visitors Bureau and through our Environmental Planning and Community Resilience Division," said Broward County Commissioner Chip LaMarca, who spearheaded the agenda item to waive dockage fees for this project. "Lady Luck will be the centerpiece of Broward&apos;s fertile artificial reef program and is expected to attract 35,000 visitors annually." Prominent Pompano Beach artist Dennis MacDonald created a mock underwater casino, complete with poker tables, roulette tables and slot machines on the main deck. This underwater casino will be the largest of its kind in the world and will provide a unique underwater experience with diver photo opportunities that feature a rotating gallery display of locally produced underwater artwork. The tanker ship, which is longer than a football field and built in 1967, was sold by the City of New York to The Shipwreck Park, Inc., a private 501 (C)(3) corporation, at a greatly reduced price. The ship was towed from New York to a facility on the Miami River for cleanup and installation of artwork before being towed to Port Everglades for the sinking. 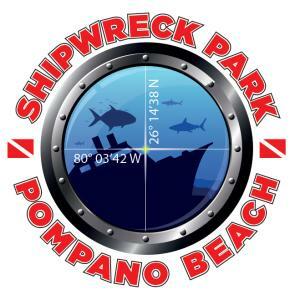 For more information about the Lady Luck reef and Pompano&apos;s Shipwreck Park, contact (cell) 954-786-4607 or shipwreckparkpompano.org. More information about Broward County&apos;s Port Everglades is available at porteverglades.net.